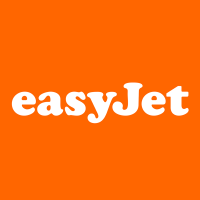 EasyJet Plc (LON:EZJ), today announced Q1 trading statement for the quarter ended 31 December 2018. Total revenue in the first quarter to 31 December 2018 increased by 13.7% to £1,296 million. Passenger revenue increased by 12.2% to £1,025 million and ancillary revenue increased by 19.9% to £271 million. Passenger1 numbers in the quarter increased by 15.1% to 21.6 million, driven by an increase in capacity2 of 18.2% to 24.1 million seats which was slightly lower than originally planned due in part to the drone issues at London Gatwick and to late A321 deliveries from Airbus. Load factor3 decreased by two percentage points to 89.7%, as anticipated, due to the one-off increase in prior year late demand and the dilutive impact of Tegel flying. easyJet has improved its On-Time Performance (OTP) since the difficult 2018 summer. The closure of Gatwick airport due to the drone issues had a negative impact on OTP but after adjusting for this December network OTP was better at 81%. As announced at the full year results in November, easyJet will now be reporting monthly passenger statistics within its quarterly reports. Load factor was slightly lower than Q1 2018 due to one-off prior year benefits and the dilutive impact of Tegel flying. easyJet experienced 764 cancellations in Q1 2019 compared to 1,051 cancellations in Q1 2018, with the biggest number of cancellations due to the drone issue at London Gatwick. easyJet has entered into another planned sale and leaseback arrangement for 10 A319 aircraft which has generated £120 million in cash and further facilitates our fleet management strategy. Six were completed during the quarter and a further four were finalised on 8 January. This will be disclosed as a non-headline item in the income statement and is currently expected to be a small loss on disposal. easyJet is well prepared for Brexit. It now has 130 aircraft registered in Austria and has made good progress in ensuring it has a spare parts pool in the EU27 and in transferring crew licences, both of which will be completed by 29 March. Both the EU and the UK have committed to ensure that flights between the UK and EU will continue in the event of a no-deal Brexit. In order to remain owned and controlled by EEA qualifying nationals, as required by EU regulations, easyJet has a number of options, including the use of the provisions contained in its Articles of Association which would permit it to suspend rights to attend and vote at meetings of shareholders and/or forcing the sale of shares owned by non-qualifying nationals as well as other potential actions. easyJet has increased its ownership by qualifying EEA (excluding UK) nationals to around 49%. Despite the consumer and economic uncertainty created by Brexit, demand currently remains solid and forward bookings for the period after 29th March are robust. · Full Year unit fuel bill is likely to be £10 million to £60 million adverse4. The total fuel bill is expected to be c.£1.46 billion, reflecting a reduction in the price of oil since November and continued higher carbon pricing. Click EZJ for the full archive.